Got a treat for you today, Deb Ball readers! Joelle Charbonneau is with us! Joelle Charbonneau has performed in opera and musical theatre productions across Chicagoland. 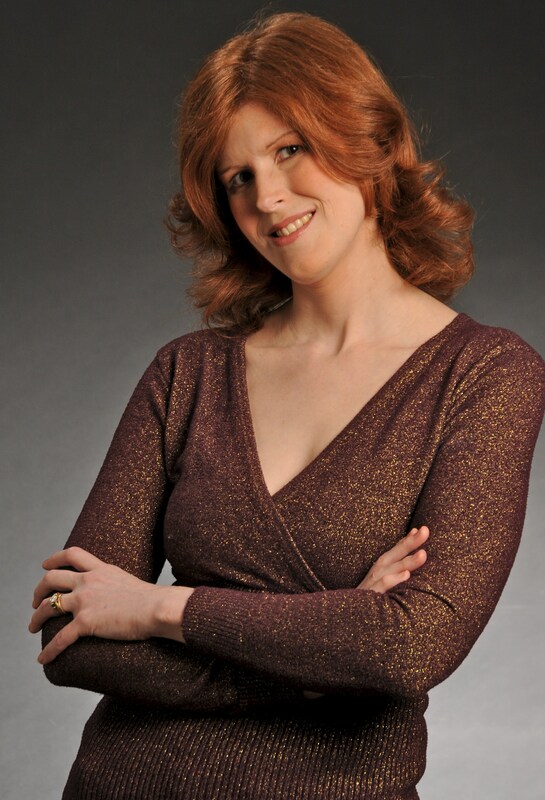 She now teaches private voice lessons and is the author of the New York Times bestselling THE TESTING trilogy (THE TESTING, INDEPENDENT STUDY and GRADUATION DAY) as well as two mystery series: The Rebecca Robbins mysteries (Minotaur Books) and the Glee Club mysteries (Berkley). Her YA books have appeared on the Indie Next List, on the YALSA Top 10 books for 2014 as well as the YALSA Quick Picks for reluctant readers. Paramount optioned THE TESTING as the project is currently in development. You’ve written mysteries, but your current focus is young adult. How do you approach books in each genre differently? Or do you? To be honest, I don’t approach young adult any different than I do adult. The most important thing is to tell a story that I am compelled by and hopefully the reader will be, too. And strange, but true, I technically didn’t realize that my first young adult novel was young adult because it was my most intense and violent book yet. Turns out almost anything that happens in adult books is possible in young adult, which makes it such an interesting category to write in. Do you miss your mystery series characters yet? They rollerskate! And sing in choir! I do miss my mystery series characters. They are so much fun and some day I hope to go back and revisit Rebecca and company in Indian Falls. I have the opening of #5 in my head and kind of want a chance to write it. But I think that will wait a while longer. There is another idea that is nagging at me a bit harder, which I’m really excited by! Of course, The Testing seems to be your breakout book, so there’s no looking back now. How did The Testing come to you? Where did the idea come from? Did you know from the beginning that it would be a trilogy? The Testing‘s publication has been such an amazing experience. It’s hard to believe how much has changed for my career since writing it. The idea actually came out of my work as a voice teacher. I deal with teens all the time as they go through the college admittance process. One student was having a particularly hard day during the waiting-to-hear-from-colleges period, and when we discussed how stressful the process was, she worried that it would become worse. I, of course, said that it couldn’t get any more stressful, but after I said that I wondered what would be worse and more stressful. Suddenly, the idea for The Testing was born and I couldn’t put the idea to the side. I wanted to write it. While writing that first book, I realized that the story I wanted to tell was bigger than just the one book, and when I thought about the themes I wanted to cover, I knew it would be three … if someone liked book one enough to publish it. I’m lucky that everyone at Houghton Mifflin Harcourt was just as excited by the three themes as I was! You wrote HOW many books in 18 months? How did you stay focused? What drafting tips can you spare us? Well … I didn’t really intend to write five books in 18 months. But once The Testing sold and my publisher asked if we could shift the publication schedule so all three books came out in a calendar year, I decided to see if I could make that happen. Deadlines are great motivators. So is my lack of ability to outline. While outlining might make the process easier in some ways, I find that not outlining keeps the reader in me motivated. I want to know what happens next and can’t wait to sit down at the keyboard and find out. And I think the only drafting tip I have that works for me is “write every day.” When I’m drafting I have to write every single day. Keeping the story moving forward on the page is incredibly important for me. I find that I gain momentum in my writing when I write every day. When I have to skip a day it becomes harder to come up with what happens next. The Testing is being made into a film—that’s so exciting! Can you tell us a little about the experience of selling film rights and any interaction you’ve had with the film project so far? Well, The Testing has been optioned for a film. Right now it is in the development stage, which is when they work on a script, look for producers and directors and other talent that might be interested in the project and do lots of other Hollywood things. I know there are several actors who have talked to Paramount about the project. Without seeing a script or hearing them read, I have no idea how they’ll portray the characters or if they’ll ultimately become “attached” to the project. I love Hollywood lingo! Really, the process is mostly waiting around to get news about what they are doing and what they are thinking about the movie potential. Not all that exciting in the day-to-day moments, but really thrilling to think about. Fingers crossed Paramount decides to move the project from development to production. That’s when the real excitement begins. You have a new major project on the horizon. Can you tell us a bit about it, and let us know how soon we’ll see it on the shelves? I always have to have a project to work on or I go stir crazy. Nuts, but true! And I just finished writing and editing through a manuscript that is currently titled N.E.E.D. Hopefully, my agent will tell me that it is on the right track, help me tweak it a bit, and I’ll then turn it in to my editor in the next few weeks. 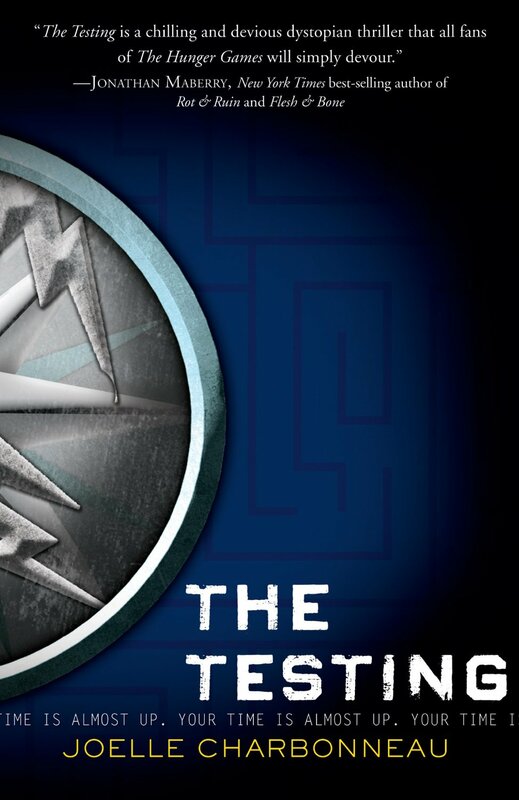 The book is a young adult thriller set in a small town in Wisconsin. It involves an elite social networking site that invites teens to say what they think they need and offers them a chance to obtain what they’ve asked for. Only there is a difference between a want and a need, and students eventually learn that sometimes the price for what they want can sometimes be too high to pay. The book explores the world of social media and the unrealistic quality of it that allows people to sometimes shift the line on what behavior is acceptable, and also what people are willing to do when they think no one is watching or can learn who they are. You’re a trained vocal performer. What song do you love to sing most? Where do you fall on this whole Frozen “Let It Go” thing? Tired of it, or just let it go? Or do little boys not sing it as incessantly as little girls? Ha! My son sings “Let It Go” all the time. In fact, I have found that EVERYONE sings it. The first thing students ask me during school visit Q&As is for me to sing for them. More often than not we end up doing a “Let It Go” sing-a-long. I love singing just about everything, but music theater songs—especially songs from Les Miserable, The King and I or The Secret Garden tend to be my favorites. But give me just about any song and I’ll be happy to sing along. Fess up: What song do you always sing along with? GIVEAWAY! Comment on this post by noon EST on Friday, June 27th, to enter the giveaway for a Joelle Charbonneau title of your choice. Follow The Debutante Ball on Facebook and Twitter for extra entries—just mention that you did so in your comments. We’ll choose and contact the winner on Friday. Good luck! This is a great interview. Your books are new to me, Joelle, but I’m always looking for new YA novels for my step-son. I’m excited to try your series. Good luck with film production! Thanks for interviewing with us, Joelle! It was a fun one to do. OK, songs I must sing along with usually come from my youth. Like: John Mellencamp “Small Town.” It gets me. And anything by Queen. Lori- thanks for such a fun interview. I had a blast!!!! Not only is this a great piece but it comes at just the right time. Both of my kids are in musical theatre and the eldest is already beginning to stress for college. We are always on the lookout for new authors and series especially in the summer. This is great! I forgot: songs that I must sing along with: anything by the Beatles, the soundtrack to Les Mis, Carole King’s “Where You Lead” and Bohemian Rhapsody. Oh, the Carole King song—the Gilmore Girls theme song. Love it. I love your roller skating series, I cant wait to try the others. I like what you said about YA, I know I enjoy a number of what is classified as YA and I’m on the other end of that spectrum. I think good writing and a good story appeals to everyone, no matter the age. Karen – oh yay! I’m glad you have enjoyed spending time with Rebecca Robbins and the Indian Falls gang. I loved writing those books! Joelle, this is a great interview. It made me want to read everything you’ve written–even the YA! And it made me want to sit down and write. I’m with you–when I’m writing first draft, I have to write every day. When I have to take off a day, I not only feel bereft, but it’s hard to rev up the next day. My first three books are out in just over a year, so I know how hard it is to have an accelerated schedule. I wish I had your energy! What do I sing along with? For years I sang in choirs. In fact, when I moved to another state, which I did a few times when I was just out of college, the first thing I would do is look for a local chorus to join–a great way to meet people and feel involved. I love all kinds of music, including the latest. You should hear me sing “Roar,” and “Royals.” Or maybe you shouldn’t! Oh yay! I am so glad that you enjoyed this interview. Yes! I have such a hard time when other professional obligations get in the way of putting words on the page. I was in Rochester for the Teen Book Festival in Mid-May and everyone was making fun of me because despite the late hour (past midnight) I still stayed up long enough to get a page written and move the story forward. Otherwise it would be way harder for me to write the next day. And accelerated schedules are tough, but I found that I enjoyed being able to write the entire trilogy before I handed it over to readers. For that short while, the story was mine and mine alone. Now, it no longer belongs to me. As a voice teacher, do you ever work with people who have hearing losses and /or with cochlear implants (speech processors)? Are your voice students training to become opera singers? If I win, I would like a copy of The Testing. Diana – I haven’t had the chance to specifically work with students who have implants or hearing loss. A few years back, I did have the opportunity to work with a professional colleague who was shot in the head and was having trouble with all things speech as a result. Most of my students are interested in moving forward in the musical theater or opera fields, but not all of them. However, I treat all of my students as if they are going to be professionals. Thanks for joining us today, Joelle! We met briefly at Bouchercon last year — looking forward to the next one. Yes, we did meet briefly at Bouchercon and I am lucky because I get to see you all the time on FB. Congrats on your debut. I’ve had fun watching the adventure via social media!!! 3 books out in a calendar year? Wow. Just wow. The mention of roller skates and I was right back to 5th grade. My friends and I used to go every Friday night, right after the Donny and Marie Show. I love when a mention of something brings back a flood of my own memories. Very impressed by 5 books in 18 months! Hi everyone! Sorry I wasn’t able to drop by earlier today. I am on tour for GRADUATION DAY’s release and had two events earlier. It is a real thrill to be back at the Debutante Ball. I was here one other time in May of 2010- then the Deb interviewing me was Joelle Anthony whose first book (RESTORING HARMONY) had just come out. My first book had yet to hit shelves. It’s amazing to think of how much has changed since then and how much I’ve learned about publishing. So thank you for having me back! My 14yo daughter is a fan. She loved the first 2 books – even gave a presentation at school on The Testing. Tell your daughter I say hello and thanks for reading! So excited to have you as a guest, Joelle! I loved reading about all the exciting things happening with your work and upcoming projects, and feel motivated reading about your daily writing routine. I’m (almost) the same way when I’m in draft mode, except I usually take the weekends off to recharge a bit, then write daily from M-F. This way a really cool interview! I love the testing trilogy and I truly hope it gets made into a movie because that would be amazing!